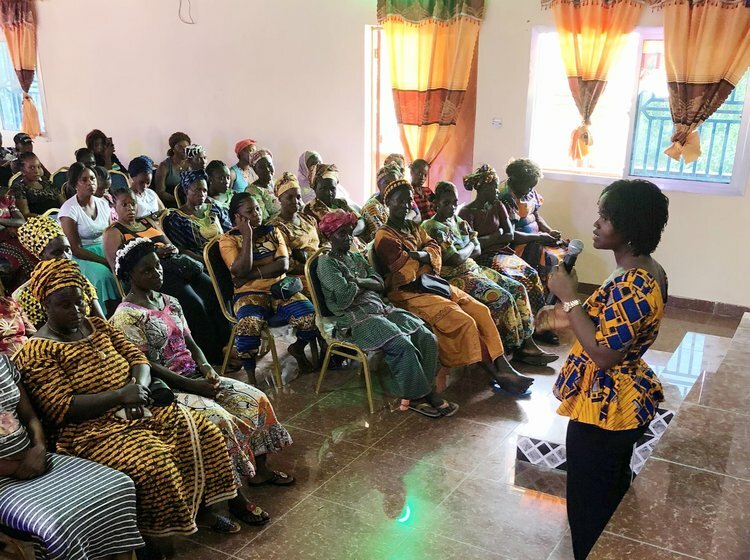 In May, the Code Blue Campaign held a “community consultation” in Sierra Leone, a post-conflict country where UN peacekeepers (along with other international peacekeeping forces) were active for six years. More than 100 Sierra Leoneans came out to tell their stories, offering unique critical perspectives on the lasting impact of these violations. The pilot community consultation was held at Mile 91, a town in the Tonkolili District in the Northern Province of Sierra Leone. The UN peacekeeping mission known as UNAMSIL, which had a mandate to protect civilians who were under constant, imminent threats of violence, operated in Sierra Leone from 1999. The conflict ended in 2002, yet the memories were fresh. Many of the Mile 91 residents spoke about sexual abuse committed by UN peacekeeping personnel that they had either experienced directly or heard about from others. Victims have a desire to share their experiences. Most participants shared a story where they were either directly sexually exploited or abused by UN peacekeeping personnel, or indirectly affected through the victimization of a family member or another loved one. In the absence of alternative channels of justice, restoration or reconciliation, the victims have organized themselves into networks. Experiences of victimization extended beyond the direct victims of these violations, and are still felt widely by the community as a whole. Community members expressed experiencing a certain degree of powerlessness in relation to UN and foreign troops. They view sexual exploitation and abuse as a somewhat inevitable phenomenon and feel that they lack power to stop these violations from happening. The event was part of the Code Blue Campaign's initiatives to hear formally from those who live or have lived among peacekeepers. The planned series of consultations will elicit firsthand accounts from the people, primarily women, whose expertise and insights can inform lasting solutions to the ongoing crisis of sexual exploitation and abuse by UN personnel. In addition, the Campaign will soon be launching the CAVIA project, which will use voice-interviewing through an audio-based mobile application to enable community members to anonymously recount their stories, perspectives and opinions on this issue. The community consultations are serving to inform and engage the broader community before the CAVIA project launches. In Sierra Leone, Ms. Kandeh is working with Code Blue’s local partner, Timap for Justice, a national NGO that provides essential justice services to indigent Sierra Leoneans through a network of community-based paralegals. Structured large-group discussions are being organized in a number of diverse former peacekeeping communities in Sierra Leone. Improvements to the process are being incorporated in anticipation of expanding the community consultations first to Liberia, and next to other current and former peacekeeping countries.